Godelia – Luxury-focused. Estate-driven. World-renowned. It’s been a long search, but we’ve finally found a Bierzo estate worthy of inclusion in the Europvin Spanish portfolio. And why did it take us so long? Because we’re picky! We wanted the best of everything Bierzo can offer…complex, mineral-driven whites from the Godello grape…dynamic, energy-infused reds from the Mencia grape…old vine mountain terrain depth and concentration…but also intense freshness and juicy, acidulated fruit…balance, drinkability and genuine crowd-pleasing appeal…and all at sensible, post-crash pricing. Impossible? We thought so too, until we found Godelia. 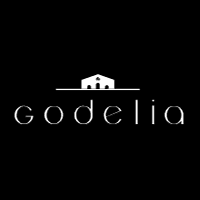 Bodegas y Viñedos Godelia is a 35 hectare estate, brand new in conception, but with vineyards featuring vines up to 100 years old planted on the best, rocky, high altitude slopes of the DO. Winemaking and ageing are intelligently tailored to make wines to drink — to enjoy — and striking, clean packaging completes the package.